Did you wonder what that hovering-loading-pop-up-thing was on top of the site today? Did you fill it out? Submit it? You should have. If not, visit the site in a new browser (it only appears once per visit so you’ll have to use a new browser), fill out your info, and send it in. That thing popped up because today is the National Internet Slowdown Day. Many sites are participating including Reddit, Vimeo, Twitter, WordPress.com, Netflix, Wikia, Digg, Imgur, Dropbox, Mozilla.com, Foursquare, Meetup, and Etsy to name only a few. 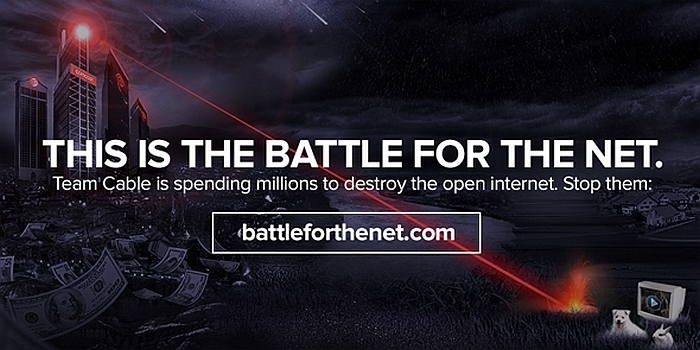 As you may or may not know, the Internet as we know it is under attack. Never mind the almost religious fervor with which the international community has attempted to wrest control of the Internet (inasmuch as it can be called ‘control’) from the U.S. based, but not U.S. controlled, ICANN organization. Or the fact that Russia has mandated that all bloggers with over 3,500 unique monthly visitors register with the state, or their offering of rewards for people who can crack the secretive TOR network and identify its users. Never mind our own attempts at regulation such as PIPA or SOPA, or the constant hacking attacks that happen all the time. No, we’re talking about the equal treatment of data on the Internet, more properly known as Net Neutrality. Essentially it means all Internet traffic is treated the same, no data is prioritized over other data. Your email to your parents gets the same priority as someone buying from Amazon or watching Netflix or accessing Canvas. 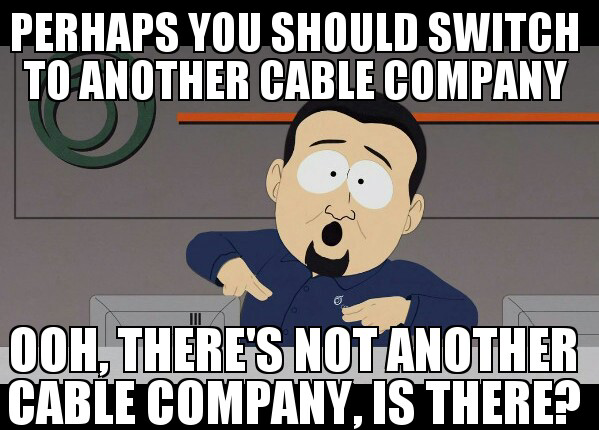 But cable companies don’t want that. You see, cable companies want to charge big content providers to deliver their content more quickly and reliably than other content. For example, Comcast wants to charge Netflix and everyone else to give them higher-priority lines to their customers. They would also de-prioritize traffic from companies that couldn’t or wouldn’t pay. This would have sever negative effects; Netflix would have to pass the cost of that prioritized traffic on to you, the customer, and it would stifle small companies that may be innovative and offer innovative products and innovative services, but because they can’t pay for the bandwidth they need they would effectively be shut out of any type of success. Not only that, your quality of service will go down, your Internet speeds will go down, and your costs not just for Internet service but the services that use it (like Netflix) will go up. Not only that, say Comcast invested in a streaming service like, oh, say Hulu. They could prioritize Hulu traffic and stifle Netflix traffic. They have been directed not to do that, but they are so blatant about their anti-competitive practices it wouldn’t surprise me in the least to see them do it anyway. Of course cable companies, ISPs, and hardware providers are doing all they can to make the Internet, your Internet, one big command-and-control that they lord over like dictators, and if something isn’t done the entire Internet and on-line experience will change, and not for the better. Reclassifying them as common-carriers, which is being considered as what’s known as a ‘nuclear option,’ would mean they were considered a utility like power and water and therefore could be heavily regulated. Needles to say, they absolutely and steadfastly do not want that, because it would force them to be fair, ending idiotic statements like this. There are opposing views, by the way, and some are able to make well-written, compelling arguments against the common-carrier idea. Of course, that link is actually to the National Cable and Telecommunications association website, so their position should be of absolutely no surprise. After all, below is what pops up if you visit their homepage – are you surprised? If you *are* suprised, you shouldn’t be. And the whole thing can be eerily convoluted. Net neutrality is something people should be enraged about. 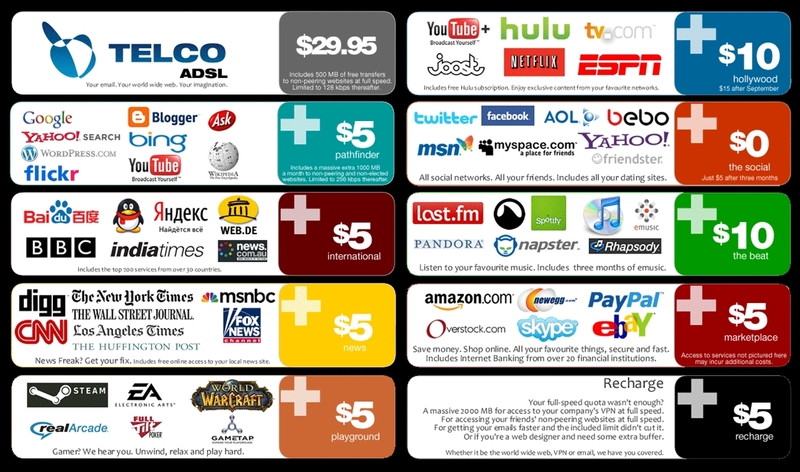 They should be rioting in the streets, it will impact every single one of us and further cement the monopolies that the cable industry already enjoys. People’s passivity about the whole thing is baffling. FCC chairman Tom Wheeler, who used to be a cable-industry lobbyist, didn’t seem to care in the past for pretty obvious reasons – he was still well-aligned with his previous industry. But then something happened. Something very important. Something we didn’t expect, and didn’t see coming, but that we desperately needed. After witnessing it, suddenly the whole thing shifted tide. It turns out that you, yes YOU dear reader, can actually go to the FCC’s website and leave your thoughts about Net Neutrality, but many people don’t know that (I only linked to the main page so you can see all the issues open for comment. You want 14-28, but look at what’s number 1!). But once John Oliver laid out the importance of this fight in very clear language, the FCC’s servers crashed under the weight of the response. And that’s what we need! It’s what you need. It even miraculously appears to have swayed Tom Wheeler himself! I posted this video last semester, and I am doing it again here because it is so important. If you do nothing else, please watch this video, and leave a comment with the FCC before September 15th. You’d better do it now, because very soon it will be too late.